Two horses raised right here in Bourbon County, Kentucky won their very first Grade I stakes in VERY different fashion on Saturday afternoon at Belmont Park in New York City. One was a longshot running in his first G1 race at age 5. 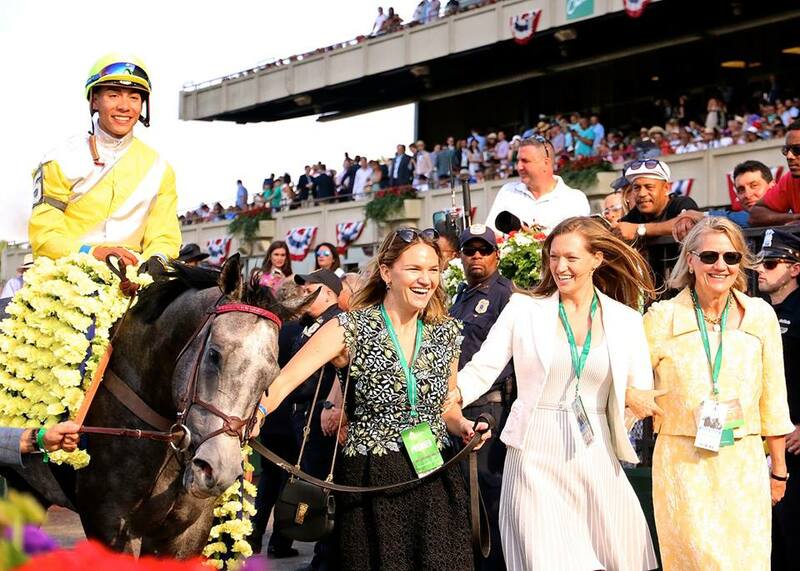 One was a $1.2 million yearling vindicating his big ticket purchase price in the classic Belmont-G1. One was rewarding his breeder’s faith in him, after his breeder bred, foaled, raised him and invested four years of training bills in a gelding who required five starts to break his maiden. 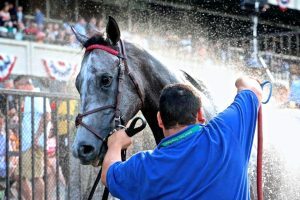 One was rewarding his owners’ faith in him, after they banded together to be able to afford him at the uber elite Saratoga Yearling Sale and invested $1.2 million to purchase him, only to watch him run 10th in his career debut a year later at Saratoga. What they share is Bourbon County roots, and the joyful support of hundreds of Bourbon Countians who labor in various aspects of the Thoroughbred horse business. They all experience sooooo many ups and downs that they truly exult when a fellow Bourbon Countian gets to enjoy the view from the top of the heap. The big ticket 3-year-old winner of the $1.5 million Belmont Stakes is TAPWRIT, the third son of Tapit to win the Belmont in the last four years. He was raised at Craig and Holly Bandoroff’s Denali Stud under the care of the excellent team led by Gary L. Bush. 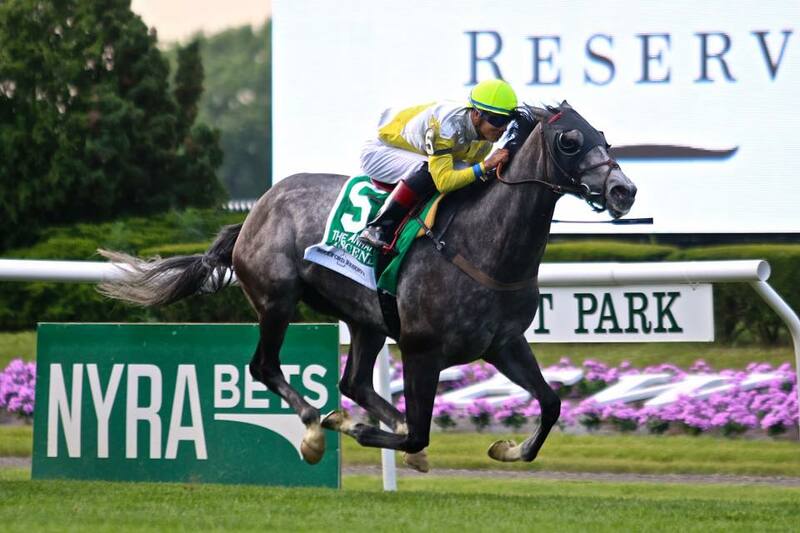 Denali also had the responsibility and accomplishment of sending him through the Saratoga Yearling Auction. Selling a big ticket yearling is not like selling an expensive piece of jewelry. These young horses can, and do, find every way of thwarting their humans’ best efforts. Team Denali excelled at their task and, as mentioned, three big owners pooled their money to make him theirs. 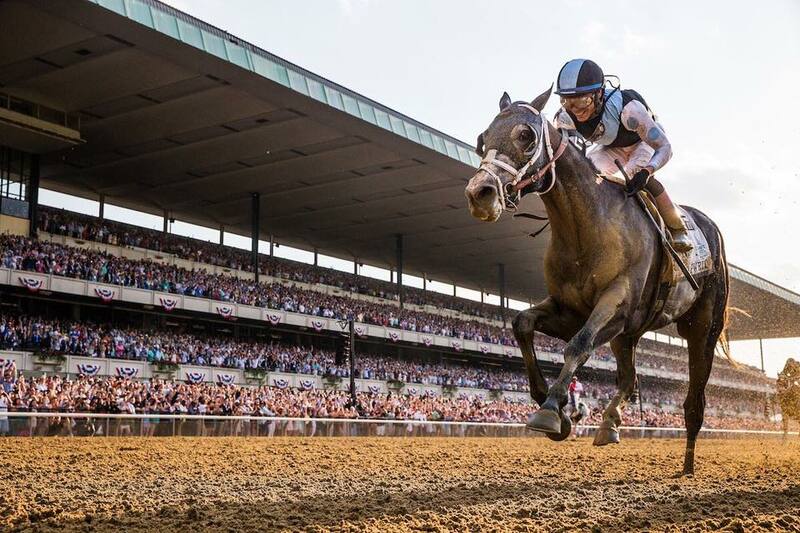 TAPWRIT dominating in the big race, the Belmont Stakes. 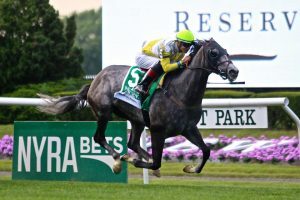 Tapwrit won his second career start, then two of his next three starts (all in stakes races and including the G2 Tampa Bay Derby) and was sixth in the Kentucky Derby to earn second favoritism in the Belmont Stakes. He’s now earned $1,143,902 in seven career starts. The big upset 5-year-old winner of the $1.2 million Woodford Reserve Manhattan Stakes is ASCEND. Arthur and Staci Hancock and family’s Stone Farm bred, foaled, raised and is racing the son of Candy Ride. Did we mention he is a gelding? Unraced as a 2-year-old, Ascend was winless in four starts at 3, improved to four wins and two seconds in allowance company at 4 and had time off from October until this April. In his first start back, he made his stakes debut in the Henry S. Clark Stakes and won by a half length. The Manhattan was his very next start, so he was the second longest shot in the race full of stars. With his length and a quarter win on Saturday, he’s now earned $919,280 in 14 career starts. Sooooooooo Bourbon County horses won the two biggest races on the biggest day of racing at Belmont Park this past Saturday. Lyra Miller and I were talking about that this afternoon at Lil’s. She said, “Someone ought to write up the story.” In her inimitable Tom Sawyer way, she got me to volunteer to do just that via the Rosecrest Farm blog. I’m happy to do so, because it gives me a chance to tell you how overjoyed I am to see good things happen to good friends. Gary Bush, manager at Denali, was the broodmare manager when I began my 18 years of working at Three Chimneys Farm. Back then, there were only six or eight staff to list in the stallion brochure. He became a great friend and cohort, although I’m sure he wanted to shoot me on several occasions when I inadvertently unleashed the world’s press attention upon Genuine Risk’s prolonged first pregnancy at age 16. Besides founding Stone Farm – which has raised Kentucky Derby winners Sunday Silence, Gato Del Sol and Fusaichi Pegasus – Staci and Arthur Hancock founded WHOA (Water, Hay Oats Alliance) – which is a grassroots movement that supports the passage of federal legislation to prohibit the use of performance-enhancing drugs in horse racing. Not only are they regulars at Lil’s Coffee House, but Arthur gained my undying gratitude for his 1) friendliness when I was a peon working the horse sales, and 2) patient audience when my father (then-retired veterinarian Gordon Layton) would bend his ear about how Thoroughbred racing is overmedicating horses. Just to give you an idea of what things are like in this close knit horse community, Arthur and his son Arthur IV (now of The Wooks) volunteered to perform at the Bourbon County Homegrown Derby Celebration we held in 2013. They’ve entertained on behalf of countless local causes since. Gary Bush was present, front and center, at that Celebration to help honor all the Bourbon County Derby Connections through history, including Denali’s Animal Kingdom, winner of the 2011 Kentucky Derby. Congrats Bourbon Co. Can’t wait to get there next week. So anxious to see all those babies! Loved this story. Keep writing!!!!! Superb article Margy!! Keep writing. You’re peeking the interest of people outside of Bourbon county as well Well done great lady.!!! May we reprint in the newspaper! By all means. I’ll correct a typo or two and shoot it over to you. Loved this ! 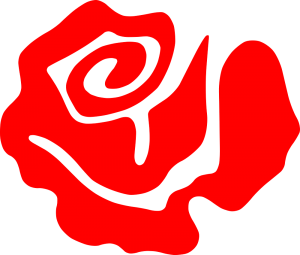 Thank you for writing it and thanks to Lyra for everything she does for Paris and the community!